Have you ever noticed how smooth and shiny our curly hair looks fresh out of the shower? When it dries, it can transform into a curly girl's worst nightmare with frizz, curls that fall flat and crunch. Yuck! After trying countless products that failed to hit the mark, Merian (find her at @MisMo on Instagram) developed Bounce Curl Light Gel Creme infused with aloe. To combat the enemies of curly hair, including dryness, Merian added extra nourishing and moisturizing ingredients to her product. Bounce Curl includes lots of curly hair goodness like jojoba esters, Boswellia carterii oil, and nigella sativa (black seed oil). Merian's product leaves out everything we don't want for our curls, like parabens, silicones and sulfates. 1. 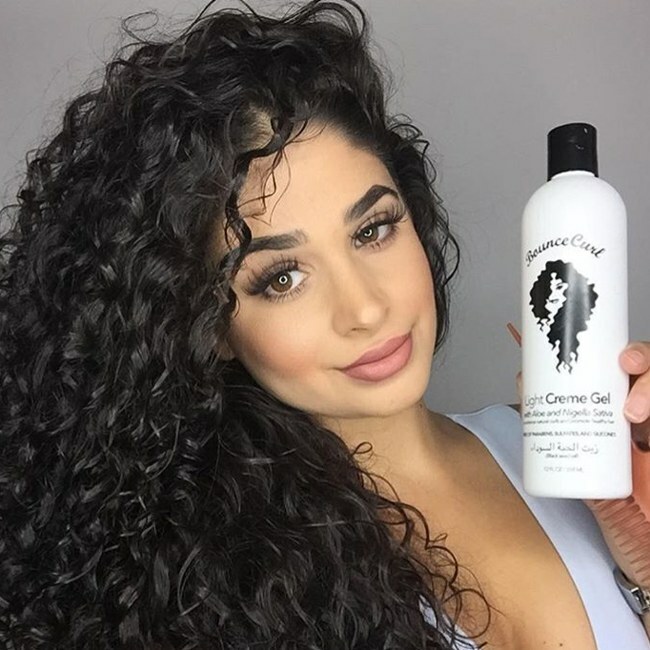 Start with soaking wet curls: Your curls will absorb the product better while saturated. Use a towel over your shoulders to prevent a mess. 2. Section your curls then apply: Section your curls out into 3-4 sections. Depending on your curl type, you can either rake the product through your hair or apply it by running your fingers over your curls. 3. Clump it up: Grab a hold of sections of your curls and squeeze. This will prevent frizz. 4. Scrunch it: If your hair is still very wet, you can use a t-shirt or a microfiber towel to help scrunch some of the moisture out. Begin by cupping your curls and scrunching up towards your roots. Do so carefully so as not to disturb your curls. 5. Diffuse or air dry: If your curls turn into a frizzy disaster when using heat to dry them allow your curls to air dry. If not, use a diffuser to finish out your new looks and enjoy your soft and shiny curls! Want to check out Merian's technique for yourself? Get the full article here.